Madfinger, the makers behind the original Shadowgun series, are back with another intense PVP title, Shadowgun Legends. In this title, humanity is under attack from a deadly alien invader. What else is new? During the campaign, you will level up your character over 200+ missions taking place on 4 diverse planets. That’s just the campaign, though. The real action will take place in the PVP mode, where you will take on other players in various arenas. 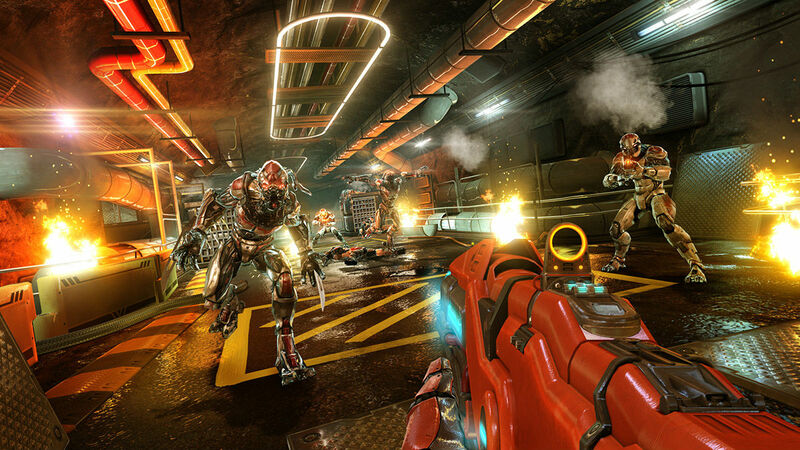 If you can remember Shadowgun: DeadZone, then you’ll know what to expect from the PVP aspect of the game. Shadowgun: Legends is free to download and play, but you should expect to see plenty of in-app purchases available.